Why Mold Was (Is) Gold! I was lucky. I received my first phone call about what was then called toxic black mold in 1996 right about the time Melinda Ballard (the woman who made mold the issue it ultimately became before she appeared on the cover of the New York Times Magazine section in full respirator and protective gear) found stachybotrys in her Dripping Springs, Texas mansion and the world started to learn of the evils of mold. It wasn’t that mold had not existed until Ms. Ballard found it in her bathtub, in fact- mold had been around longer than Mrs. Ballard and Dripping Springs, and the State of Texas…. But no one paid it very much attention. 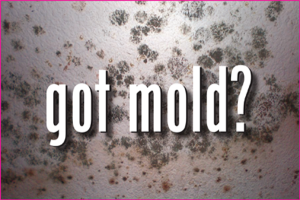 In fact when you start to read about mold, one of the things that is stated over and over again is that mold is ubiquitous in the environment …so why did this become such a big issue? I suppose it could be argued that there always needs to be some large looming catastrophic environmental issue that is about to swallow half of Manhattan which is going to get everyone’s attention in this country. In the case of mold, this issue came along around the time that issues such as asbestos and lead based paint were on the popularity downswing but indoor air quality was becoming more of a potential hot topic. In addition, it is interesting that the environmental issues that seem to grow the fastest (no pun intended) are the ones where the science behind the topic is not mature and there are still many unanswered questions as to the impact and severity of exposure. In the case of mold, bodily injury complaints were the mainstay at the outset (because no one knew very much about fungi or their impact on human health in the indoor environment), but as the science and our knowledge of the issue matured, those types of claims practically disappeared leaving property damage as the primary pathway to a potential insurance payoff. In fact, the “dreaded” stachybotrys that so frightened Mrs. Ballard was later determined to be an unlikely suspect in precipitating any ill health effects. Nevertheless, the maelstrom created by Ballard and the mold scare and the thousands of claims that followed wound up costing Texas insurers over $4 billion. 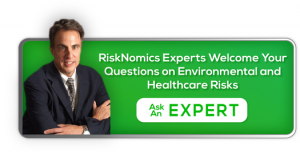 There can be no argument that in addition to the above, the potential of significant insurance payoffs play into the scope and growth potential of an environmental claim such as mold. After all, who hasn’t had some mold in their home at some point in time? People in the northwest where mold is often referred to as “moss” or in England where mold is spelled “mould” don’t think twice about its occurrence and don’t file insurance claims every time they clean the shower. But in parts of this country where mold is not endemic but poor building quality is, mold seemed like a convenient pathway to renovation, repair, and a check from the insurance company. At one point in time, courts awarded Ballard $32 million (which was subsequently significantly reduced) which certainly got everyone’s attention but what few seemed to realize was that the bulk of this award was based upon insurance company mismanagement of the claim, and NOT on the mold per se. Not surprisingly, insurance companies soon wised up and began omitting or significantly restricting mold coverage- an issue that they had never before even considered to be worthy of specific inclusion or deletion in policy language. Today, mold claims continue to be filed, albeit at a greatly reduced level, due to coverage exclusions as well as our improved understanding of the potential impacts and liabilities. The issue however has not, and will not go away. While its significance may have been somewhat diminished and while insurance companies now rarely pay out large damage claims, Mrs. Ballard did successfully implant mold as an environmental issue which now needs to be identified on most due diligence environmental reports as well as on most real estate transactions. And while the glitter of mold may be somewhat diminished, this is an issue that will be around longer than anyone reading this blog, ensuring its viability for at least the next thousand years.